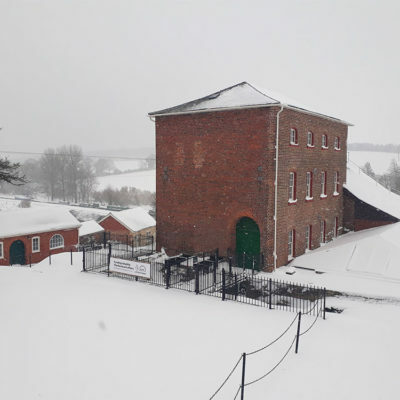 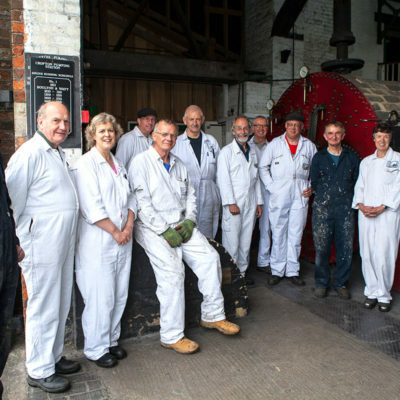 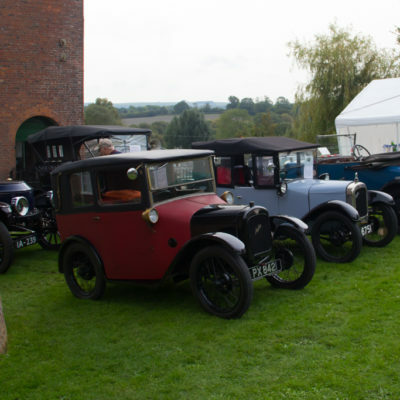 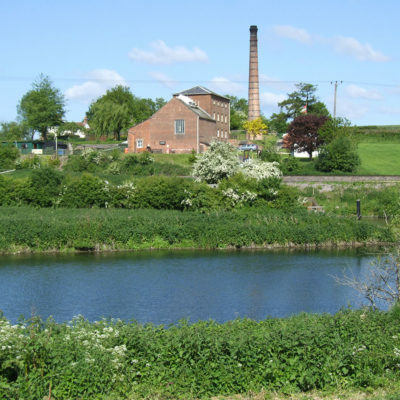 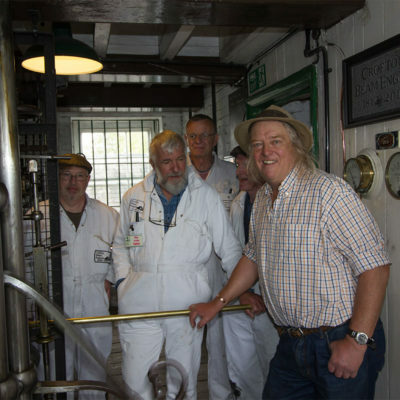 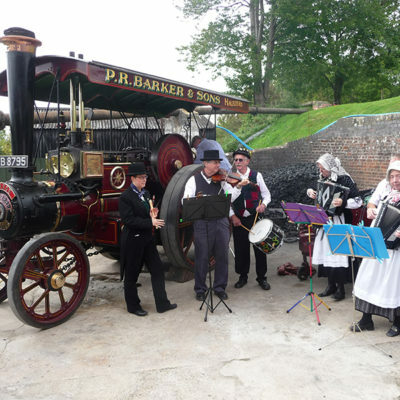 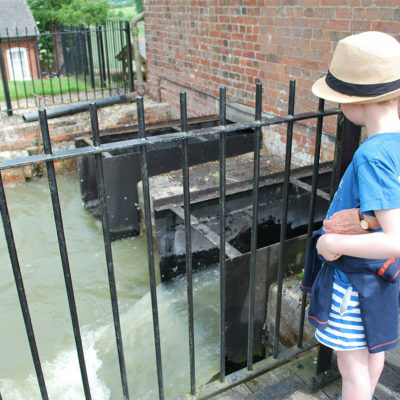 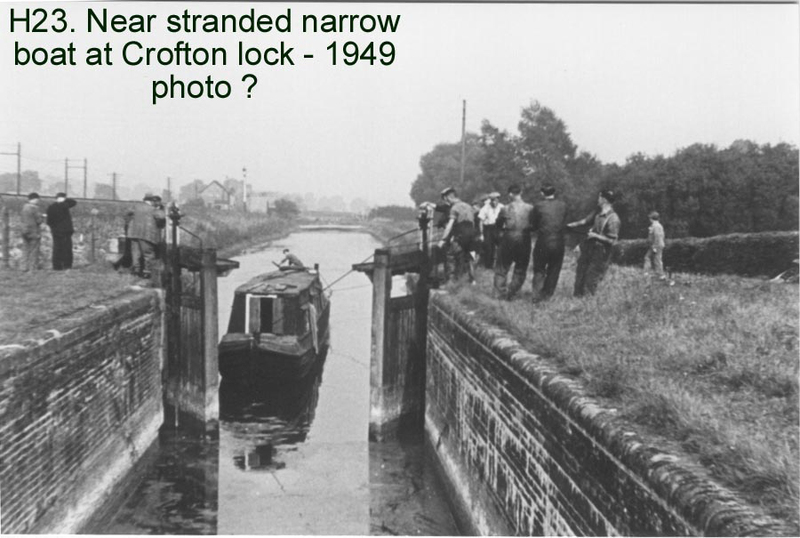 A selection of historical pictures taken at Crofton. 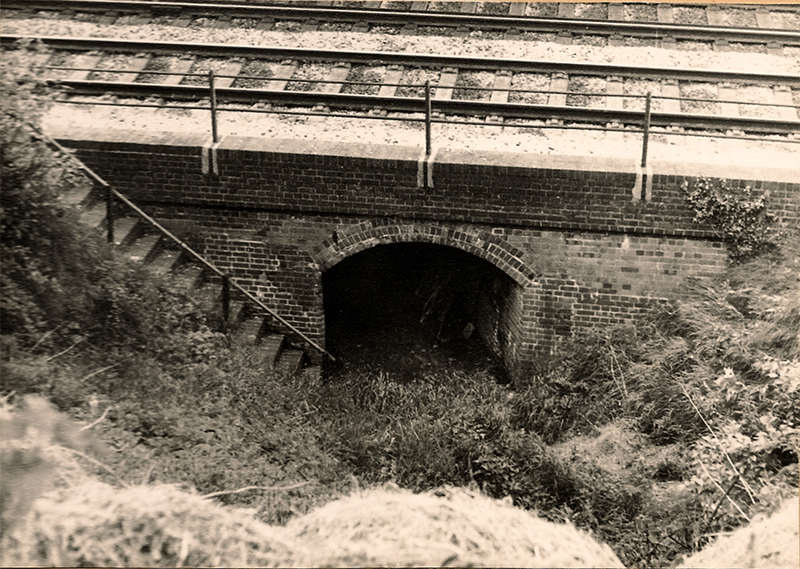 Access tunnel from the Coal Yard to the Canal under railway. 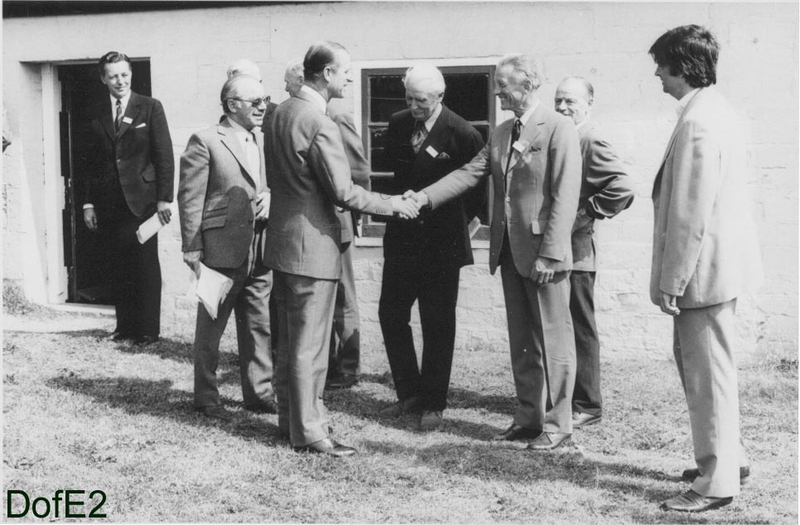 HRH Duke of Edinburgh visit – 8 June 1976. 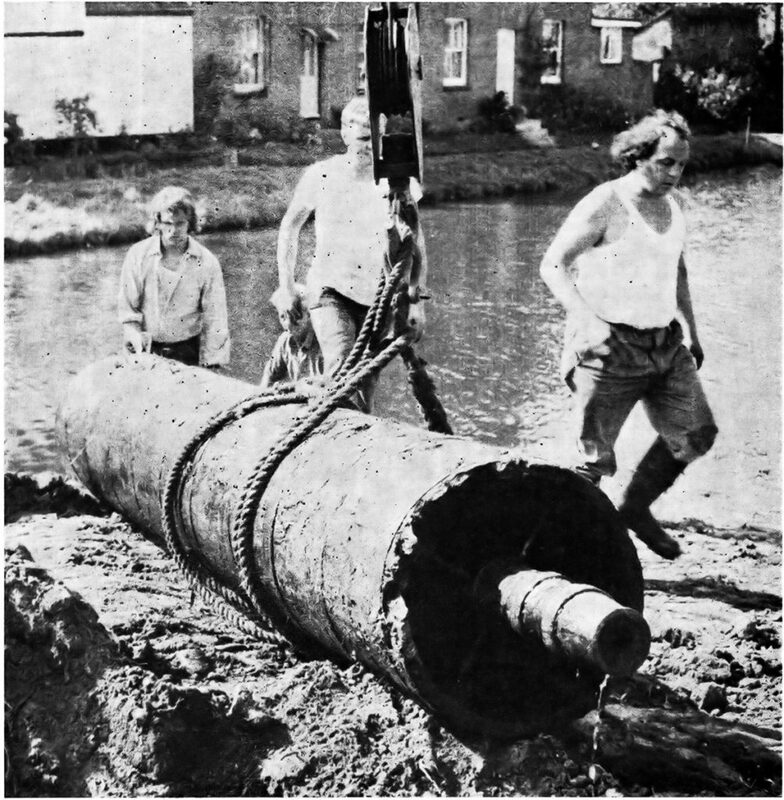 Sir William O’Brian standing on right. 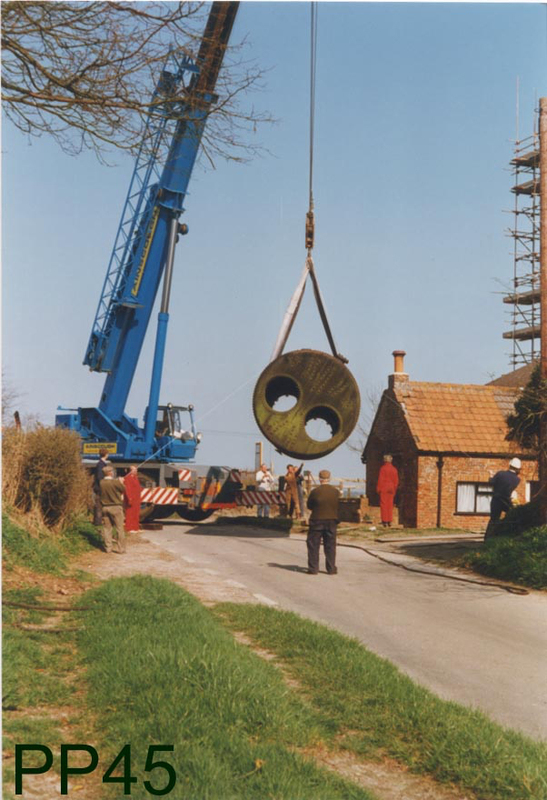 Relocation of the ‘Spare’ Lancashire Boiler from the Car Park to its current location beside Pumphouse Cottage. 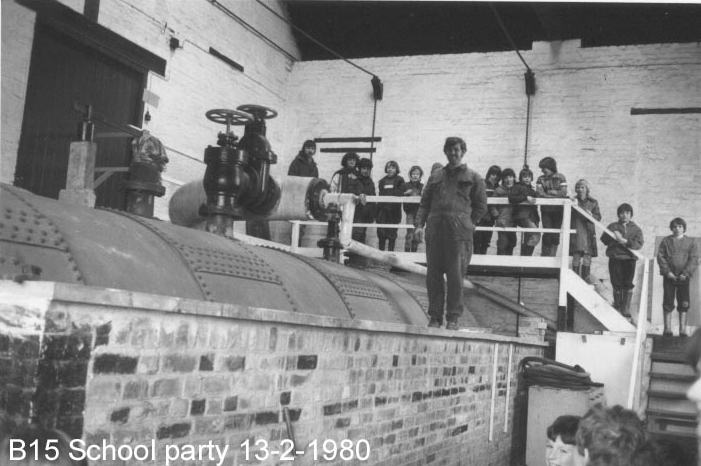 School party visit (13/2/80) – volunteer standing on top of the boiler not known. 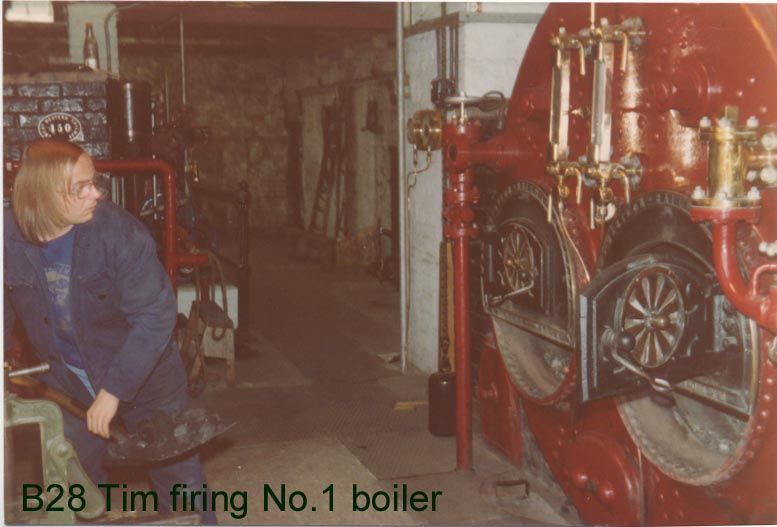 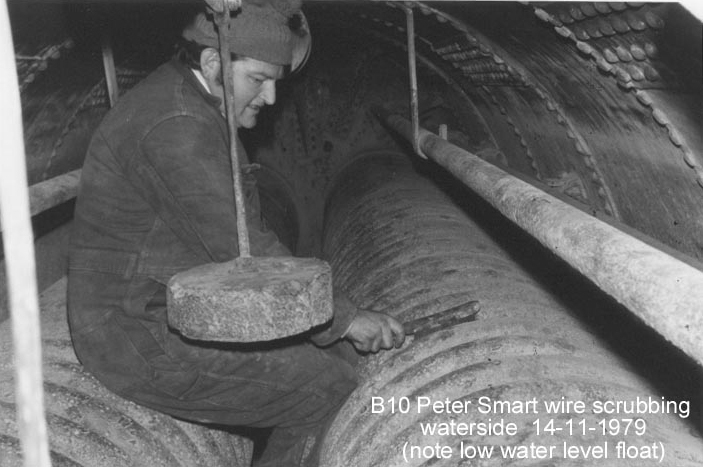 Peter Smart wire scrubbing waterside inside the boiler 14/11/79. 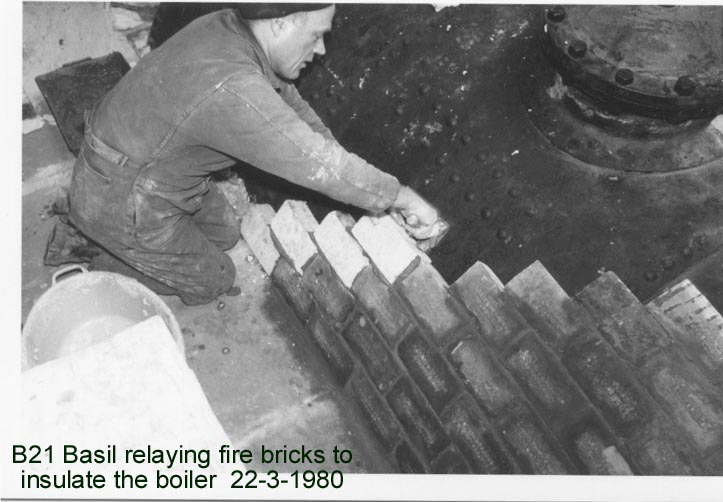 Basil Hunt relaying fire bricks to insulate the boiler 22/3/80 (photographer unknown). 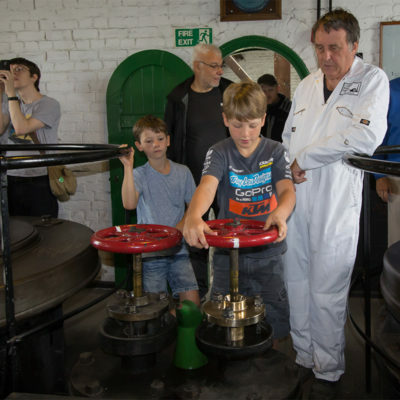 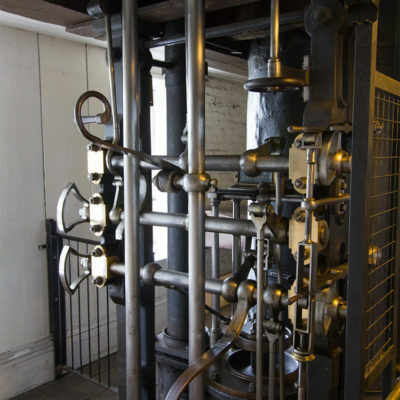 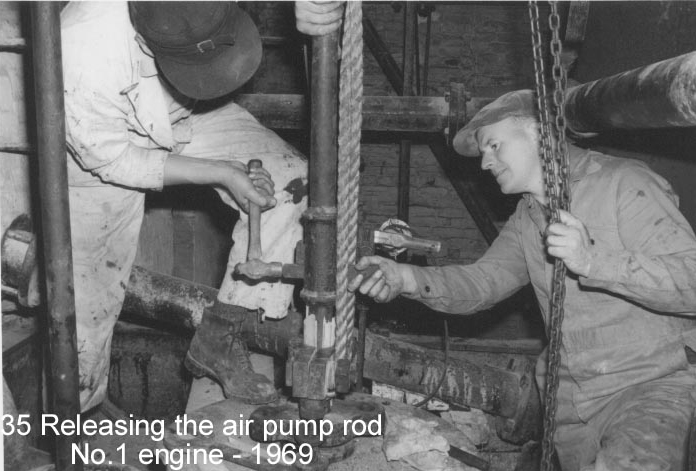 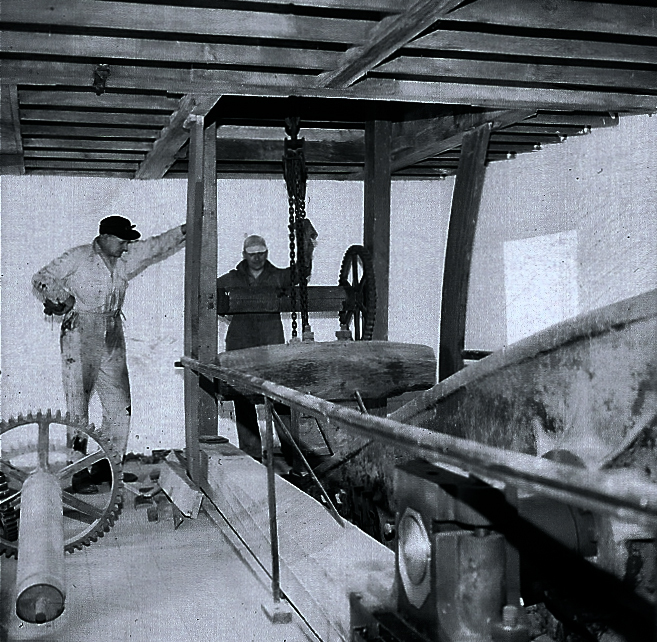 Releasing the Air Pump rod – No 1 engine (1969). 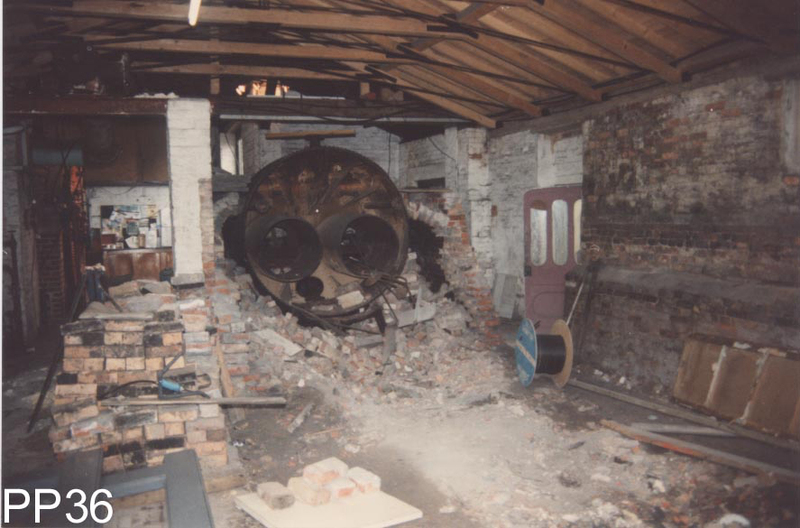 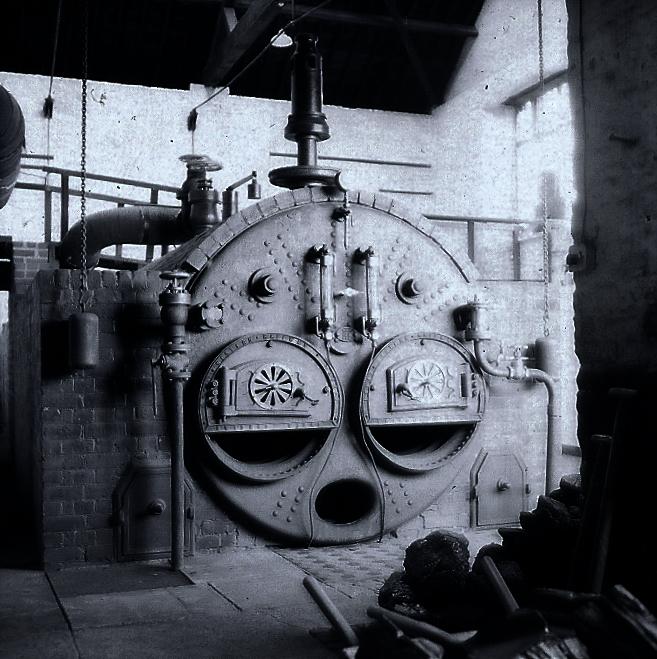 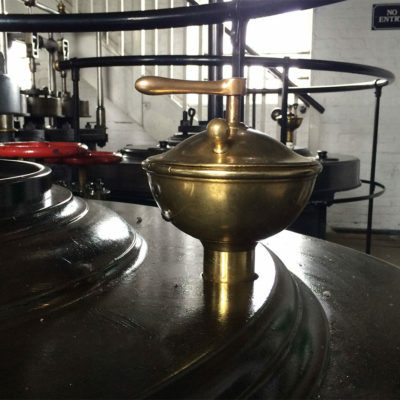 Original GWR Boiler 109 in main Boiler House. 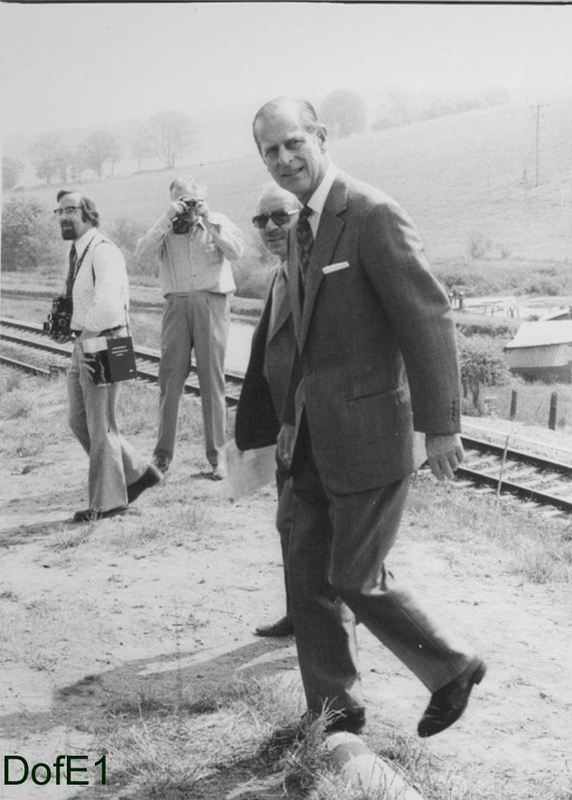 HRH Duke of Edinburgh visit – 8 June 1976. 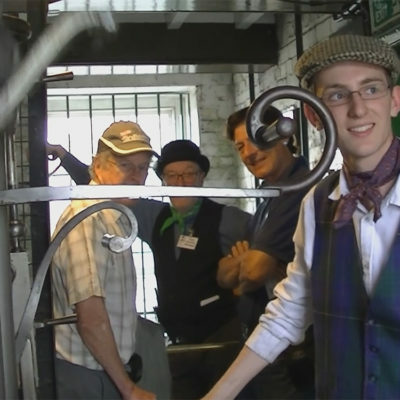 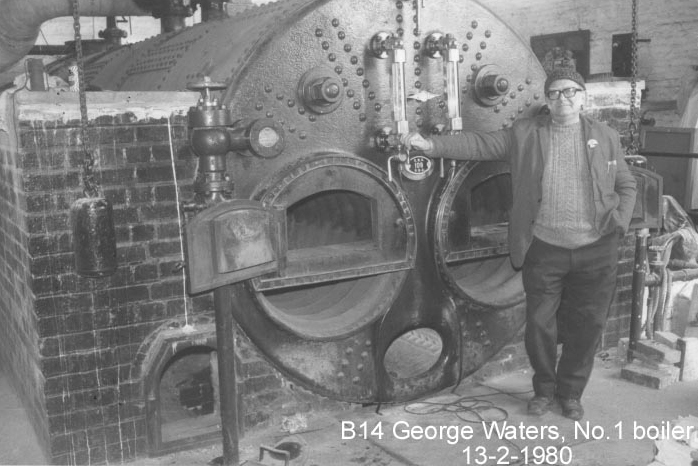 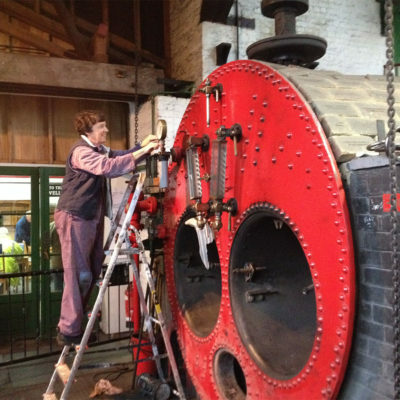 George Waters & original GWR Boiler 109. 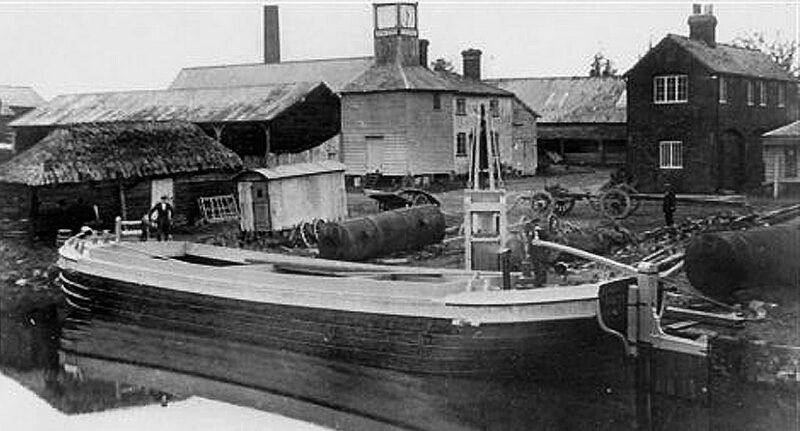 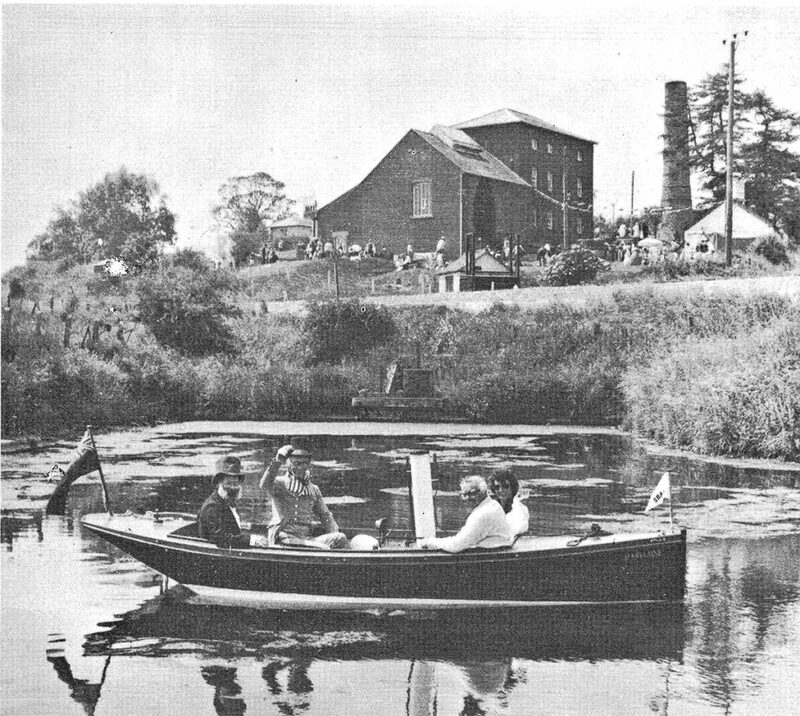 Stranded narrow boat at Crofton Lock (taken during Newcomen Society engine trials 1949) N.G.Calvert. 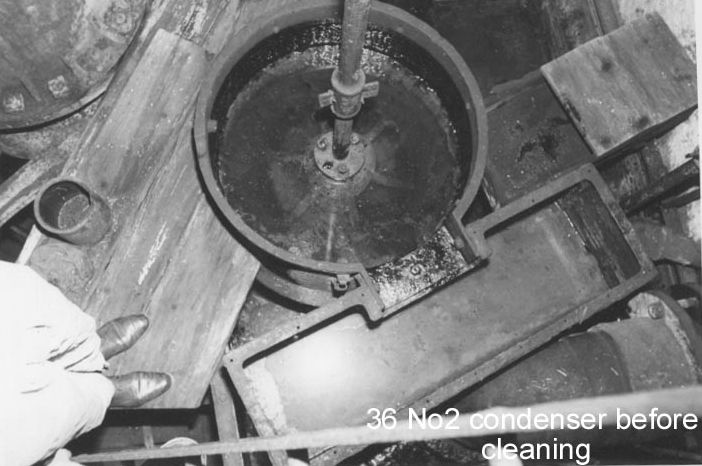 No 2 Condenser before cleaning.